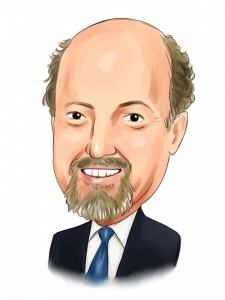 Jim Cramer on Apple: Although Apple Inc. (NASDAQ:AAPL) management is trying to do and say all the right things, many are concerned about the company’s reputation. Jim Cramer is among those who believe that Apple is turning analysts against the company. In a recent CNBC segment, Cramer sat down and discussed a few of the more important points from yesterday’s earnings report as well as why he believes Apple Inc. (NASDAQ:AAPL) management is walking a fine line. Before we go any further, it is important to note that you could hear the concern in Cramer’s voice. Apple management has faced its share of issues over the past few months, and he feels that this is a major problem for the company moving forward. This is one of those pieces that is well worth watching. If nothing else, Cramer will keep you entertained from beginning to end.